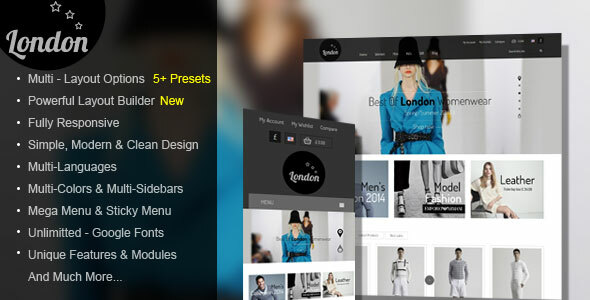 London Stars is a simple but modern responsive Prestashop theme that oozes high-street sophistication. Supports multiple layout options, configuring within seconds in the backend. 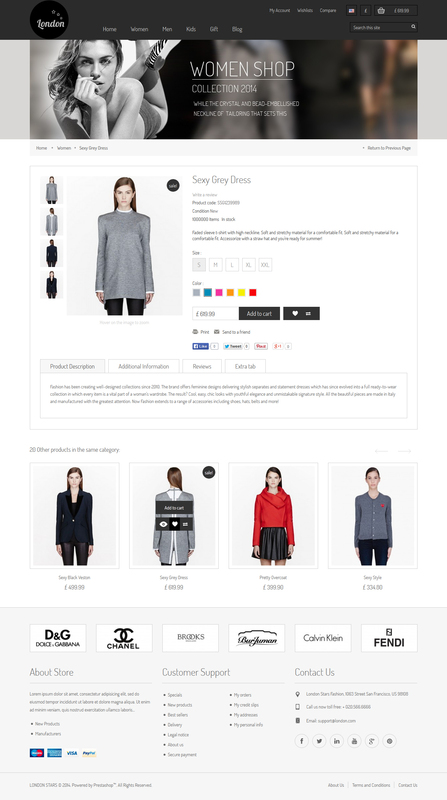 All of pages: Home, Category, Detail Product, CMS, Special Products, Manufacture, New Products, Best Sales… can be configured with Full Width, Left Sidebar, Right Sidebar or Both of Left Sidebar and Right Sidebar. Specially, London Stars Theme also supports Multi-Sidebars. Sidebars of pages can have different modules with the different positions. Be very easy to change the position of modules in each sidebar by dragging and dropping. You can see the detailed changelog here: changelog_london.txt. If you have any questions please submit a ticket here: Kutethemes Support System.We will resolve the query within 24 hours.